Rents are typically due on the first day of each month, with a five days grace period. We collect the rent for you and securely deposit it in your account on the 10th of each month. All income received will be placed in a trust account. A monthly & yearly revenue and expense statement will be issued, formatted for tax season. All receipts are all easily available in the cloud. We inspect the property to verify move-in condition, performing periodic drive-by inspections to check for apparent abnormalities & notifying tenants of any violations. We make work order requests easy and available online, contacting the appropriate professional for the job. We offer flexibility in using your choice of professionals. Craigslist, Zillow, Trulia, Hotpads, Blue Sky & more! Increase your home image with access to Professional Staging and Photography. 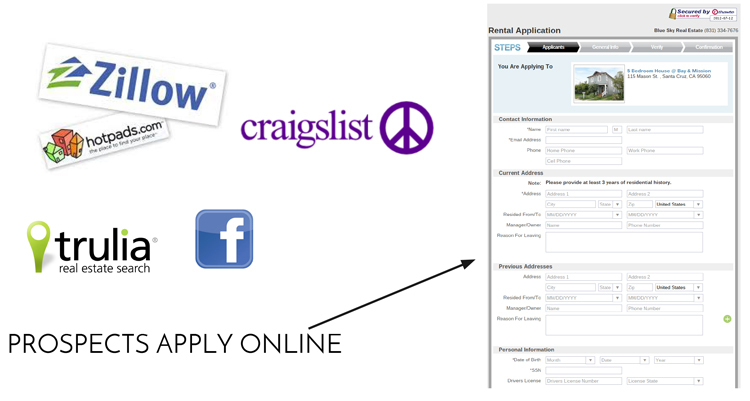 Tenants apply online and will be filtered to you by their credibility. Tenants are screened and conveniently detailed in your online portal so we can easily access and choose your tenants carefully. Minimize lost income, property damage and late payments. Verified, secured and up-to-date data at your fingertips. We set up the RUBS allocation and enter the utility bills each month, resident charges are automatically calculated and applied to the rental statement. Increase rental income each month with a natural rent increase that covers the costs of utilities. And it’s free so you’ll collect even more money every month. No extra spreadsheets, manually posting charges or complicated “integrations”. Everything is built-in to save you money! Studies have shown that residents who are billed back for utilities are more likely to use fewer resources and will naturally conserve more. All of your property and resident data is consolidated so your residents receive one consolidated bill each month with utility, rent and other charges. Access bills anywhere, anytime in a highly secure and manageable database so at tax time, you can easily share your information with a tax professional. Bills sent to DropBox with secured access for multiple owners. Can set-up Recurring & Non-Recurring Bill Pay for: HOA’s, Utilities, Insurance, Mortages, Property Taxes, Gardening & Maintenance. Utility & Tenant Damages can be billed back to tenants each month. 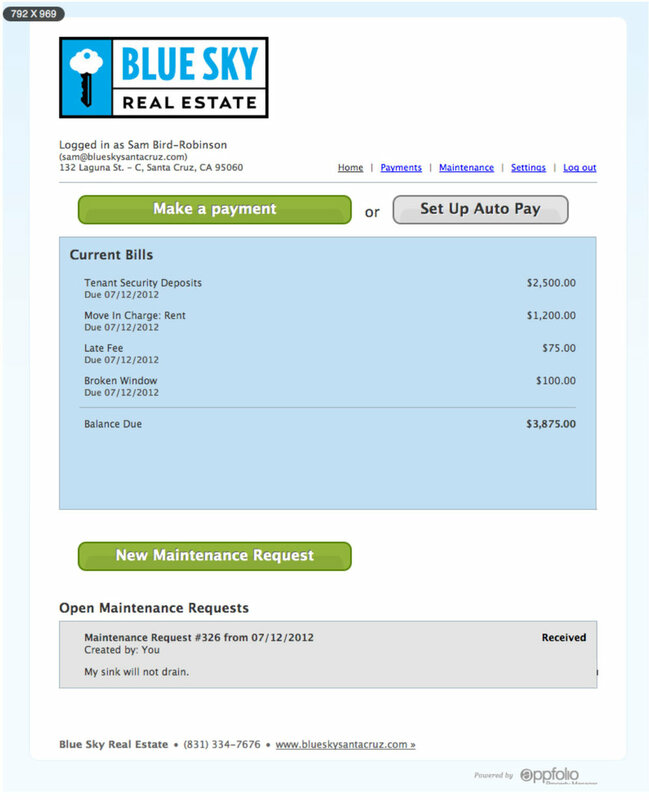 Tenants can easily start a work order, notifying Blue Sky immediately.